The bomb was called "Little Boy" but the devastation it caused was hardly small. Wikimedia Commons Little Boy, the bomb that destroyed Hiroshima, Japan, in August of 1945. 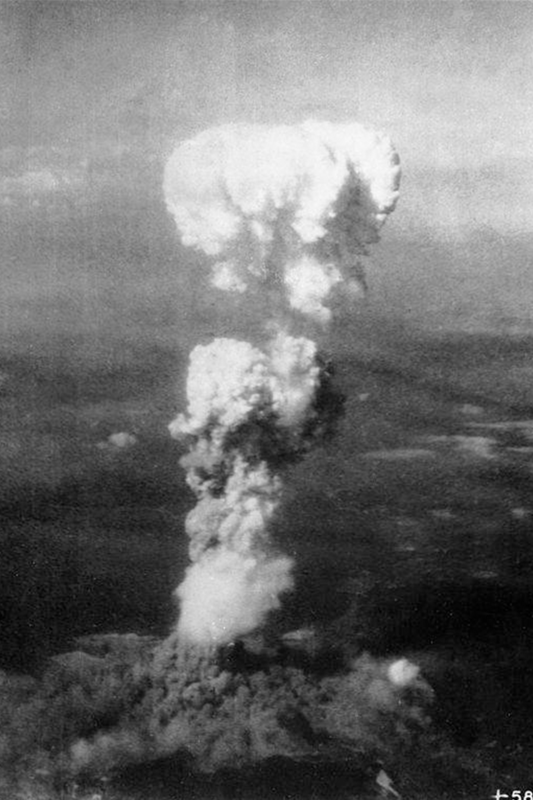 Two American atomic bombs ended World War II in August of 1945, the devastation of which will never be forgotten. 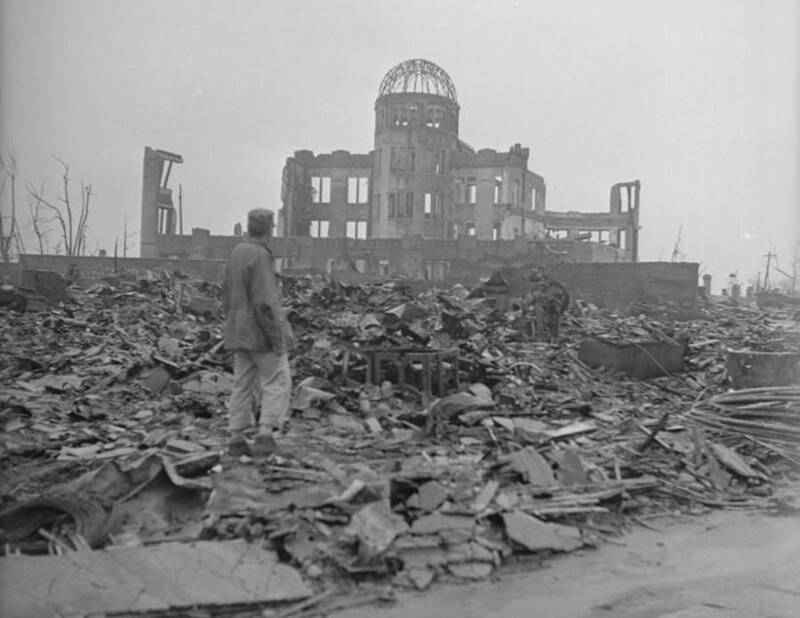 In an instant, tens of thousands of residents of Hiroshima, Japan, were killed by “Little Boy,” the code name for the first atomic bomb used in warfare in world history. 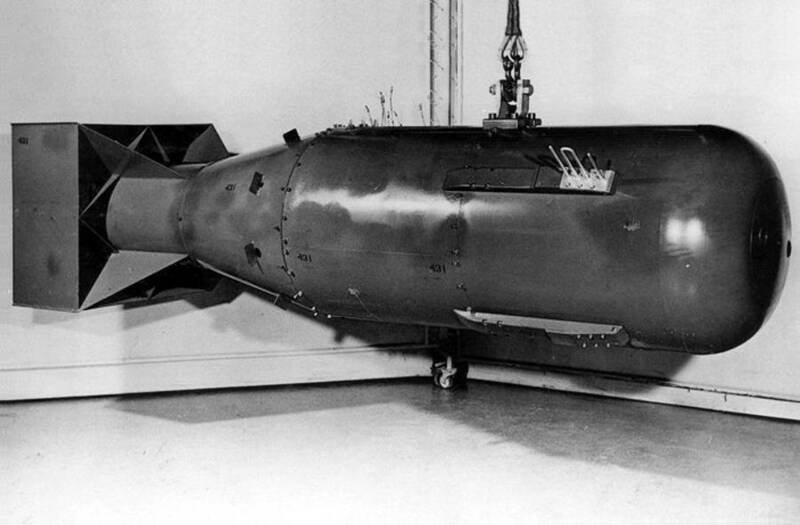 Scientists developed the technology behind Little Boy during the Manhattan Project. This highly classified project started in December 1942 as America’s involvement in World War II escalated. 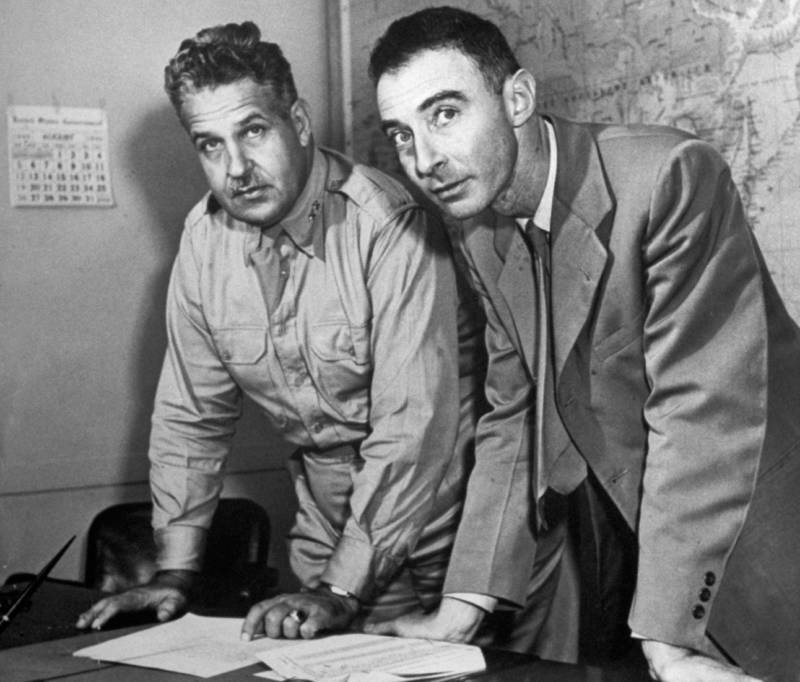 Wikimedia Commons Col. Groves and Robert Oppenheimer, the two heads of the Manhattan Project. U.S. Army Col. Leslie R. Groves oversaw the military’s involvement, while Robert Oppenheimer was the civilian scientist in charge of the team designing the inner workings of Little Boy. Facilities for research were set up in Manhattan, New Mexico, Tennessee and Washington state. Researchers on the project drew from work done by physicists Enrico Fermi and Leo Szilard, both of whom received funding from the U.S. government in the late 1930s to study enriched uranium in nuclear chain reactions. It’s the enriched uranium-235 that is the key to creating an explosive fission reaction in nuclear bombs. The Manhattan Project team settled on two different designs for atomic bombs. In Little Boy, the fission reaction happened when two chunks of uranium came together to form a critical mass that started the reaction using a gun-type device. One slug of uranium hit another after firing through a smoothbore gun barrel. Approximately 60 percent, or 85 pounds, of the uranium formed into a projectile, with the remaining 40 percent, or 55 pounds, were in the target. 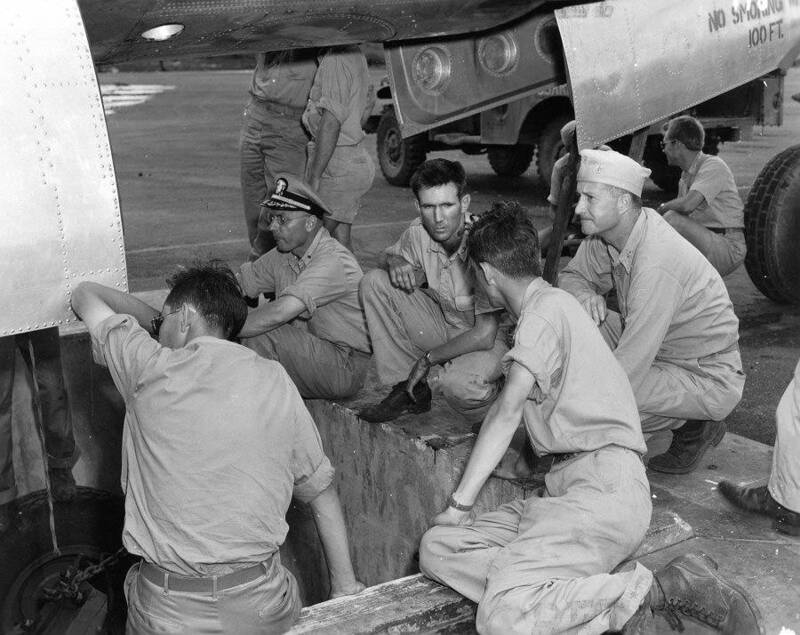 Wikimedia Commons The crew on Tinian Island loading Little Boy into the Enola Gay, August of 1945. Capt. William Parsons is wearing glasses and in the formal Navy hat. The projectile was a cylinder with a four-inch hole through the middle. The target was in the shape of a solid spike measuring seven inches long and four inches in diameter. The cylinder would fit perfectly over the spike as the two melded together. Then, the massively explosive fission reaction started. The full concept of the gun firing was not fully tested until the actual bomb dropped on Hiroshima. Successful lab tests in a smaller scale gave scientists enough confidence that the process would work. Bernard Hoffman/The LIFE Picture Collection/Getty Images A man surveys the ruins of Hiroshima Prefectural Industrial Promotion Hall. This building became the city’s peace memorial after renovation. The final construction of Little Boy happened in stages. Trains took bomb parts from Los Alamos, New Mexico, to San Francisco. There, the USS Indianapolis shipped the components to Tinian Island in the Pacific Ocean south of Japan where it arrived on July 26. To prevent a catastrophic accident, the target piece of enriched uranium flew separately to Tinian Island aboard three C-54 Skymaster transport planes. That uranium also arrived on July 26. Once on Tinian, the weaponeer in charge of Little Boy’s assembly, U.S. Navy Capt. William S. Parsons, chose to delay the final part of the construction until the last moment. He feared an accidental detonation because an electrical short or crash could lead to a catastrophic failure. Little Boy tipped the scales at 9,700 pounds, and it had a length of 10 feet alongside a diameter of 28 inches. The bomb was as tall as a basketball hoop, weighed as much as a car and was as wide as a human arm is long. Little Boy flew on the Enola Gay, a specially equipped B-29 bomber, commanded by Col. Paul Tibbets. Because of the secrecy of the project, most the plane’s crew had no idea what they were about to witness. At 8:15 a.m. local time on Aug. 6, 1945, Little Boy fell 57 seconds towards the ground over Hiroshima. The bomb detonated at 1,900 feet above the city thanks to a timer, barometric sensors and doubly redundant radar altimeters. The detonator device allowed the Enola Gay and its escorts time to escape the blast, which allowed the crew to take pictures. 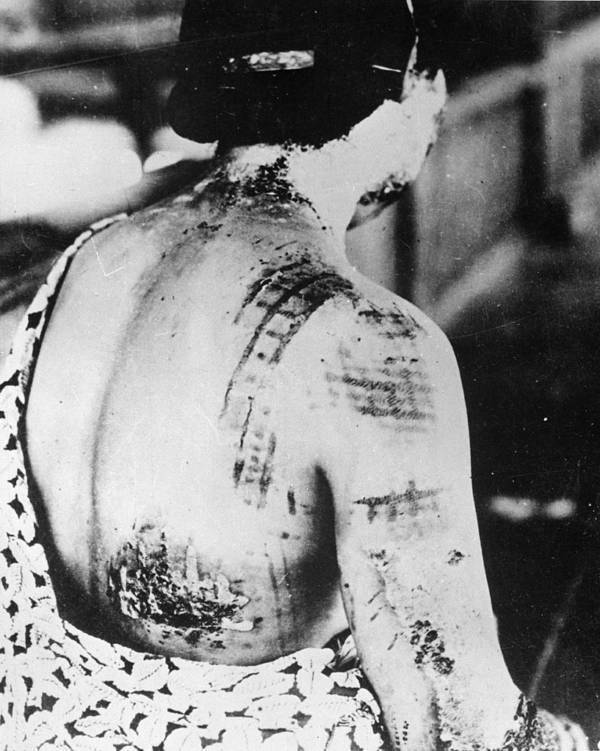 Getty ImagesThis woman, a victim of the attack, was left with burn marks on her skin echoing the pattern of the kimono she had been wearing. Little Boy exploded with the force of 15,000 tons of TNT, while the shockwave and firestorm that followed killed 80,000 people instantly. This raw destruction happened despite only 1.38 percent of Little Boy’s fissionable materials converting to energy for the explosion. Despite these jaw-dropping numbers, the bombing of Hiroshima was not the most devastating bombing raid of World War II. A huge bombing raid over Tokyo from March 9-10, 1945, saw more than 100,000 people killed and one million injured during Operation Meetinghouse when more than 1,700 tons of bombs fell onto the Japanese capital. Behind all of these numbers lies one horrifying truth: humanity changed forever following Little Boy’s deployment. 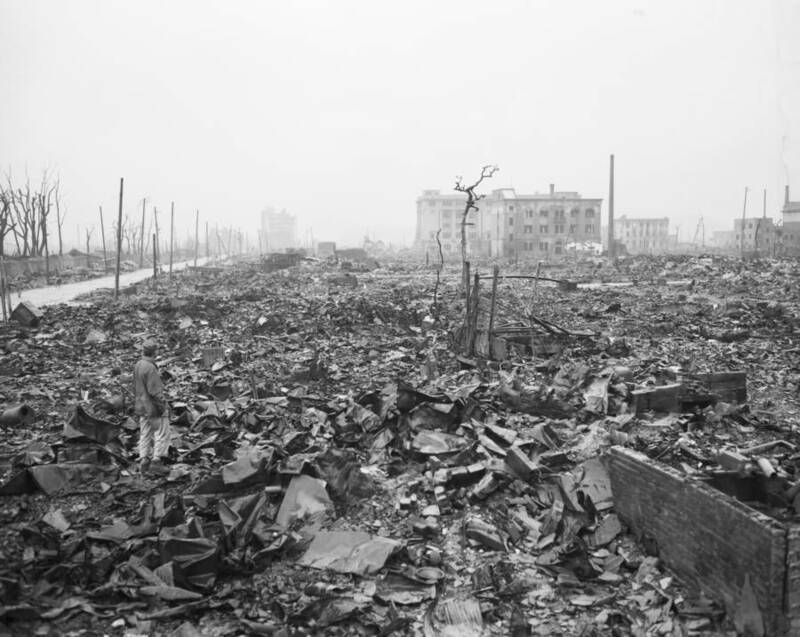 Next, check out these photos of the aftermath of Hiroshima. Then, read about the horrifying shadows left behind after the Hiroshima blast.